Kolkata has been the land of cinema, and home to some of cinema’s most-celebrated paragons like Satyajit Ray. It is also one of the few cities in the country that still fuels the fire that is theatre. It only makes sense that there are also excellent courses offered throughout the city, so you can brush up on your acting chops. 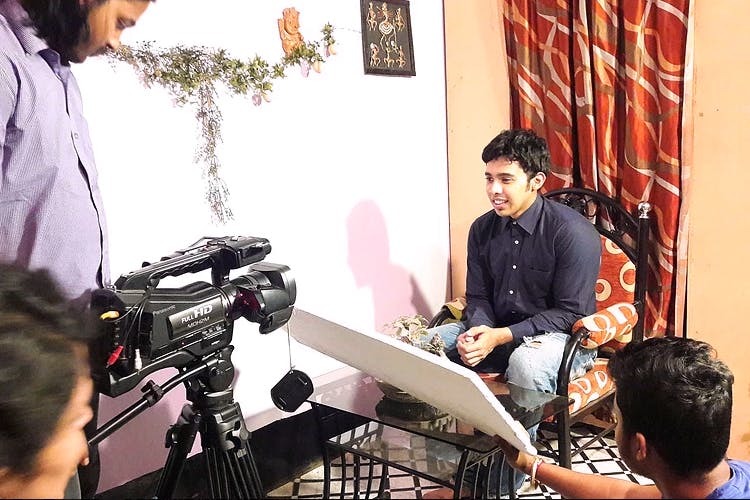 One of the best options in the city, the Kolkata Film Academy offers two courses on acting. You can either get a certificate in 3 months or work hard for a year for a diploma in acting. And you just need to be a high-school graduate to join these courses. The course focuses on the whole package – they teach you about the history of acting, about the nuances of voice modulation, about the creative body movements, and how to build that chemistry with other co-actors. And their diploma course is more extensive in their syllabus and focuses on both film and theatre acting. They offer three courses, all in film acting. These are all three-months courses, with varied number of days every week. You can join their diploma course if you want to focus on acting 4 days every week, or their advanced certificate course if 2 days per week would be more apt for you. Or if you’re looking to just grab a few basic skills, check out their Foundation Course in Film Acting – you’ll spend just three hours every day. IIAM is a place that emphasises not just on film and acting, but also more on modelling. They offer an acting course of 6 months, and focus on the development of one’s personality, and their persona in front of a camera. They have assignment opportunities in television soaps, films, advertisements, and more. They also have a modelling course for the same duration if that’s more your thing. With a one-year course in acting, SMPAi is should be your choice if you want to learn under professionals of the industry themselves. Students are prepared for lives in film, television, and theatre. They have workshops on acting, the preparation that goes behind each script and shot, audio acting, method acting, etc. They have had many successful pass-outs, and also have centres in Durgapur and Siliguri. This place in Bhowanipore has two diploma course options. Their Diploma in Acting course runs for a duration of 2 years and works to build all-rounder actors. They have many exercises that focus on all technicalities involved in acting, from body movements and voice modulation to dubbing and improvisation. Their other course is 12 months long, and is more advanced in its approach. Apart from voice production and body preparation, and monologue and duet acting practice, they also give a few dance lessons.